Check out our review of the Lenovo IdeaCentre Horizon all-in-one table PC. Lenovo unveiled quite a few new products today at CES, but none are quite like the IdeaCentre Horizon. With its gorgeously massive touchscreen, the table PC aims to create a new digital experience: the sharable home computer. The 1920 x 1080 HD 27-inch screen is a backlit beauty. It accepts 10-finger multitouch gestures, allowing multiple users to gather around the screen and interact simultaneously. When vertical, the IdeaCentre Horizon could serve as a good-sized flat-screen TV. Mounted on an adjustable rolling stand, it can easily transform from a 90-degree “wall” mount to lying completely flat, as well as any angle in between. At 1.06-inch thick and only 17 pounds, the screen is easy to maneuver, and visible from nearly any angle. Of course, the touchscreen would hardly be as impressive without the hardware to back it up, including up to a 1TB hard drive, up to Windows 8 Pro, up to NVIDIA GeForce GT 620M graphics, and up to a 3rd generation Intel Core i7 processor. Additionally, its internal battery lasts up to two hours for toting it around the house. 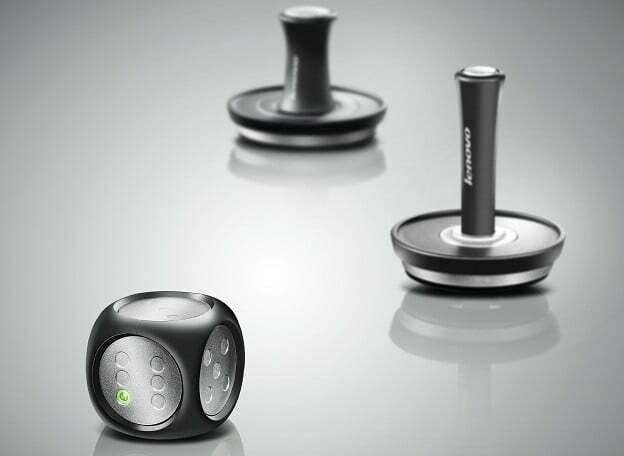 Paired with included peripherals such as “e-dice” and four joysticks, the IdeaCentre Horizon becomes a gaming powerhouse, as well as the pinnacle of the “phygital” – a neologism Lenovo invented to describe the intersection of digital and physical gaming. Games designed specifically for the multi-user, multitouch screen come from the Lenovo App Shop, while pre-loaded apps include Monopoly, racing games, and music editing. Moreover, when tilted horizontal so that it lies completely flat, the IdeaCentre Horizon defaults to a home screen with a “moon dial” for a full desktop experience. This scrollable pinwheel of applications is designed for multi-user interactions, multi-tasking, and unique touch gestures. 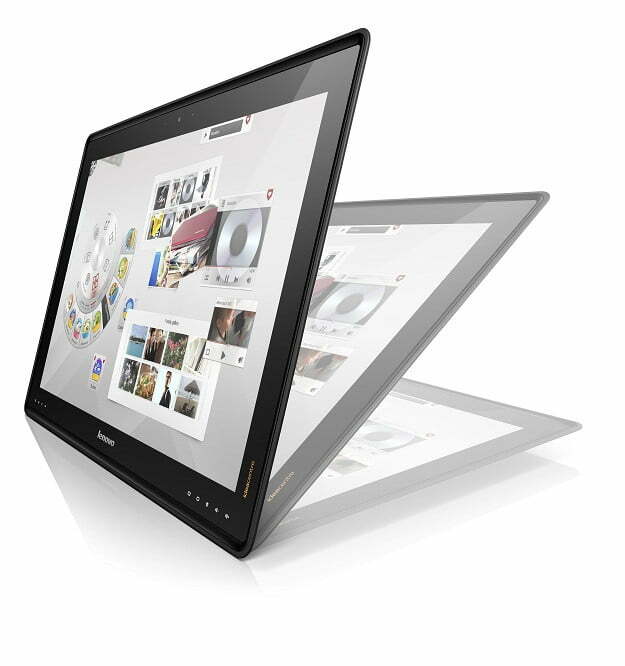 The IdeaCentre Horizon starts at $1,699, and is slated for release early this summer. Lenovo also demonstrated the IdeaCentre Horizon’s big brother at CES, a massive 39-inch behemoth nicknamed “Gamma,” but this couch-sized screen is only an early concept for now.